Would you like to have a meeting with the richest man in the world? This is what the winners of TelMexHub Labs will get, after a competition pitting startups from the different cities TelMexHub Tour stops in. But what is TelMexHub Tour? Telmex is one of the largest companies in Mexico. The former state-owned telecom company is now owned in majority by multi-billionaire Carlos Slim and his family. In November 2010, TelMex inaugurated the TelmexHub in Mexico City, as part of its Technological Innovation Drive program. Boasting a 10 Gbps Internet connection, TelmexHub is the first digital library in Mexico. A meeting point for tech aficionados and stimulating digital knowledge, it plays host to workshops, classes and tech- and startup-related events such as iWeekend and Super Happy Dev House. A few months ago, the conglomerate announced that it would take TelmexHub a step further, with TelMexHub Gira, which roughly translates as ‘TelmexHub Tour’. The idea is to bring the Hub’s experience to other parts of the country by organizing a two-day event in different Mexican cities. It’s also an opportunity for TelMex to showcase its optical fiber network. The tour started with Puebla last Friday and will then head to Merida (August 26th to 28th) and Queretaro (September 9th to 11th). 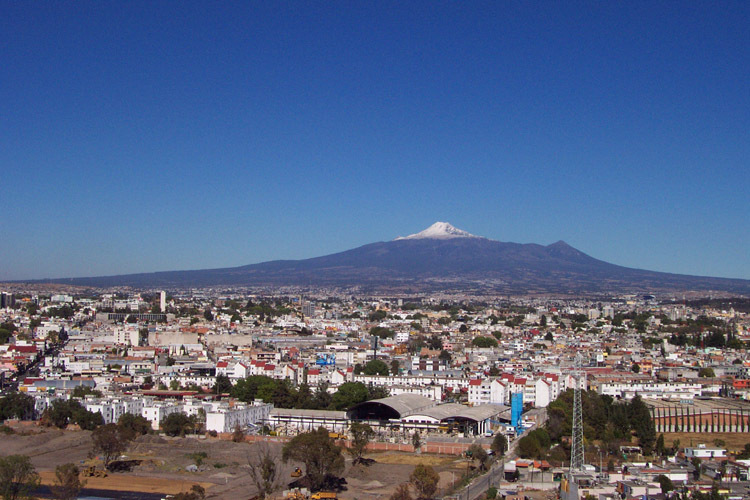 Located to the east of Mexico City, the industrial city of Puebla is the fourth largest city in the country. From Friday to Sunday, it played host TelMexHub Tour’s 48-hour non-stop event. Participants could get some rest on-site in lounge areas, or just keep on interacting and working all night. The agenda of activities included workshops such as ‘Be Your Own DJ’, ‘WordPress Authoring’ and ‘Online Journalism’, as well as interactive chats around Startups and Entrepreneurs and Angel Investment. It also featured several conferences, including a keynote by Jared Cohen. Head of Google Ideas and an advisor to Hillary Clinton, he talked about the transforming, positive impact he thinks technology can have on world politics (though ‘cyber-sceptic’ Evgeny Morozov likely disagrees). The event also featured a competition, the TelMex Labs, which gave a bunch of entrepreneurs the opportunity to present their startups to a professional jury. The Labs were organized in two panels presented and curated respectively by Arturo Garrido and Gustavo Arizpe. Both are prominent figures in the Mexican tech scene. Gustavo is an established blogger and web consultant, while Arturo, which runs the podcast Emprende.La, is the founder and CEO of Twitea.me. This service enables Mexican users to tweet and update their Facebook status via SMS; it will very soon expand to other Latin American countries. BluFrog, an online learning social experience. SaldoMx, a virtual currency platform which is still at the idea stage. The winners were TidyPrint and CallPicker, which according to Arturo had the clearest pitches. They will soon compete with future winners from the other cities that will host the TelMexHub Tour. Winners will get a meeting with Carlos Slim and his team. Even in the case where no synergies could be found with TelMex, this could open some doors for sure. Suban Hay Lugares (which could translate as ‘Get on Board’), a travel planning app for public transport. The jury ended up picking Suban Hay Lugares as its winner, and also gave a special mention to Panic App. It wasn’t just because they were apps; according to Arturo, Suban Hay Lugares was also the one that received the most positive comments from the audience. Still, the awards didn’t go without controversy, as Arturo voiced the jury’s exasperation and pointed out on stage that several teams had put more effort in their PowerPoint presentations than in the apps themselves. As you can imagine, it didn’t go down well with some participants. To be fair, it wasn’t all the teams’ fault; they should probably have received clear guidelines and received mentoring over the two full days they spent working on their idea. The onus is now on TelMex to improve and clarify its AppChallenge before TelMexHub Tour heads to other Mexican states over the next weeks. The Tour could then continue its road to even more cities; TelMex suggested that destinations might be added, depending on local demand. If you’re in Mexico, would you like your city to host the tour? Have some other, favorite tech-related events in Mexico? Let us know about them in the comments.